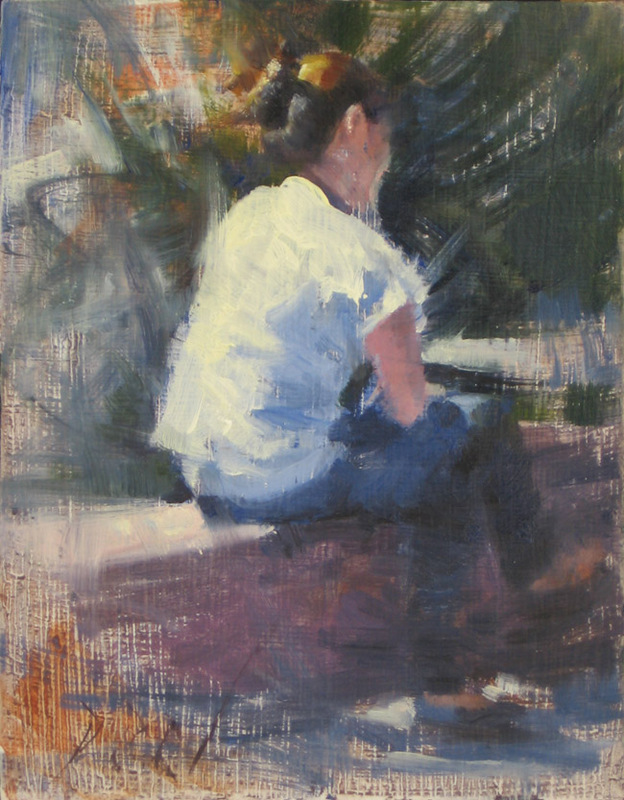 In this particular scene I used the figure as an integrated part of the landscape, shapes merging in and out, colors reflecting each other, the warm light of July enveloping all forms, shadows quickly shifting their shape as the sun moves on. 3 Responses to ""July" Impressionist Female figure landscape oil painting"
Beautiful work. I am going too on your drawing pastel blog. i come on your two blogs every day to see your news sketch.